A couple weeks ago, I felt weary in spirit. Life was hitting me hard, and I was not at rest. I felt as the churning of my heart made way for discouragement. And even still, I found hope in God. I found rest where I could not imagine rest to be. My heart learned to beat again. 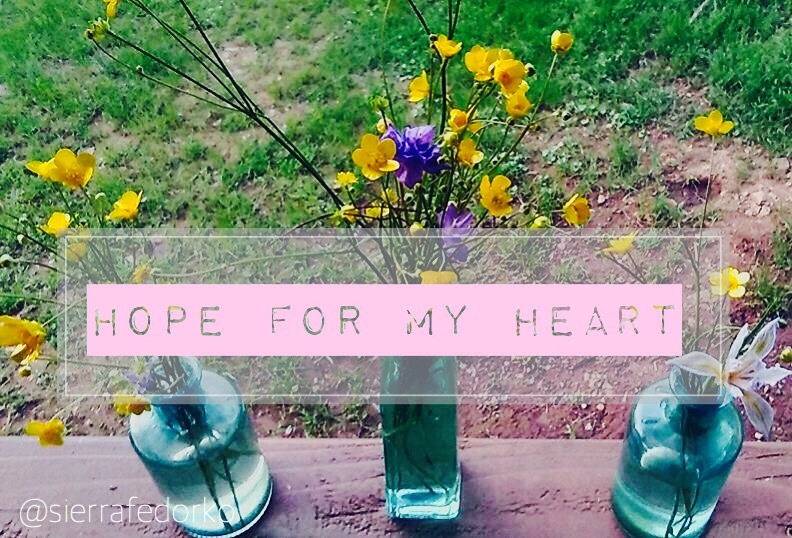 Yesterday was Easter, and all the moments around me were traced in hope. Hope of life, of love, of God! Hope was the song and my soul drank it in. Christ is ALIVE and I am free…able to live in joy…. able to know real peace. Somewhere in the shuffle of life as I am often apt to do, I become lost in what I think will bring me fulfillment and joy. I exchange the joy of God for my dreams and insert my expectations where hope and life already reside. I hold up cardboard while God offers gold. As yesterday dawned bright and clear, the celebration of Christ’s life began and the reawakening of my heart broke through. And as I sat down to listen, as I raised my voice in worship, as the tears peeked out, and the smiles deepened, I remembered that this life means nothing without Christ. And it means everything with Him. My house won’t fulfill. My marriage won’t suffice. My life will always fall short when I attempt to live it on my own! I will never know joy when I exclude the hope of God from my mundane routine, and when I let my desires creep over and above the story God has for me. The hope of Christ breathes life and joy into every part of living…into laughter…into conversation…into everyday responsibilities. I can run and dance and shout, because I am made whole in Christ and I have everything that I could ever need. And furthermore, all my desires of joy, love, peace, and happiness are wrapped up in my relationship with God. They are there. They are available. They are never beyond my reach. Perhaps, there will be some of my dreams that will return empty; it does not mean I am empty. I am filled with the love of God. I am complete just like this because the adding or taking away of my dreams doesn’t change my worth in God. Take away my dreams! Take away my expectations! The hope of God is enough for me. The hope of Him is even more! My heart beats full. My mind rests still.